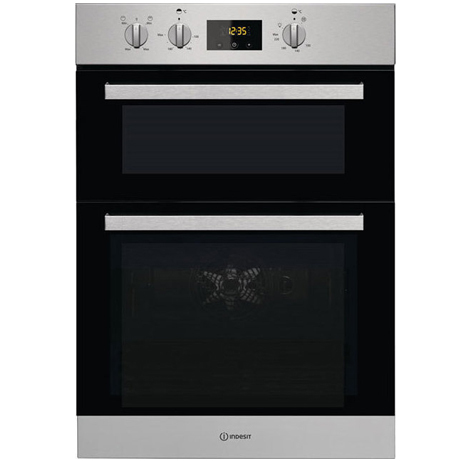 This Indesit Built-In Double Oven finished in Stainless Steel brings a large capacity and a co-ordinated modern design to your kitchen. 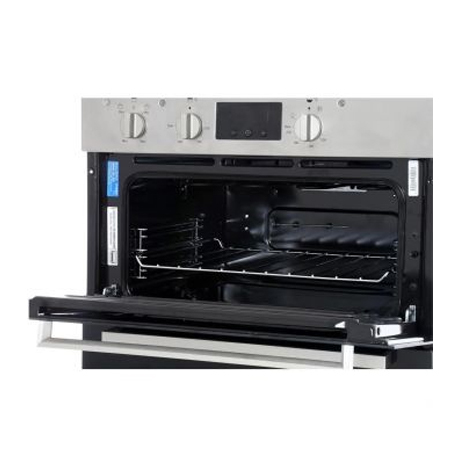 Boasting 74L of cooking space in the main cavity, perfect for making big family meals and the power of fan assistance, ensuring dishes are evenly heated throughout. Whether you’re roasting or baking, you can enjoy reliable results when you use fan heating in the main oven cavity. An even temperature is regulated through the fan to speed up cooking times and to help you avoid under and over cooking. 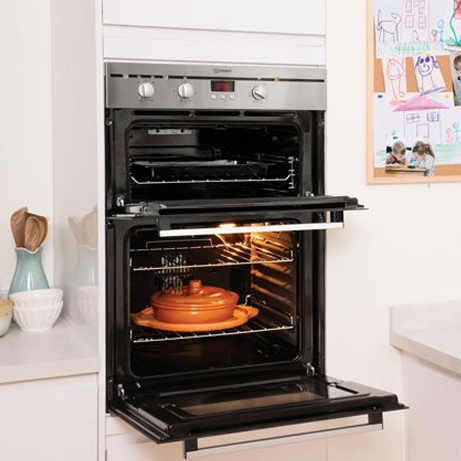 Keeping this built-in oven clean is hassle free thanks to the easy clean enamel liners which feature on every wall inside both cavities. There’s no need for scrubbing or expensive detergents as food and grease is prevented from burning onto your appliance during cooking – so you can simply wipe away any residue with a damp cloth. 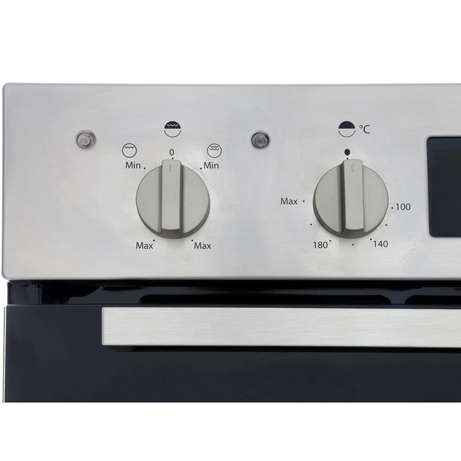 Enjoy entertaining friends and family and prepare larger meals with ease thanks to the generous capacity on offer, featuring 74 litres in the main cavity and an extra 42 litres in the second oven. Plus, you can make savings on your household utility bills as this appliance features an A energy efficiency rating, which will also stay kind to the environment.